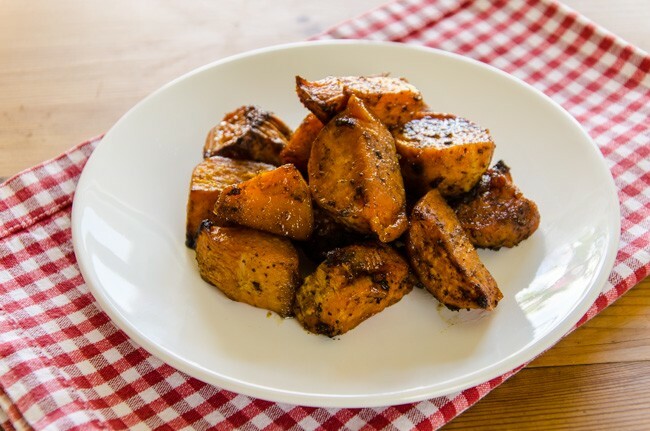 In my experimentation to find a delicious savoury recipe using vanilla, I happened to add a vanilla bean to my usual recipe for Caribbean Sweet Potatoes and it worked! So here it is to share with you. 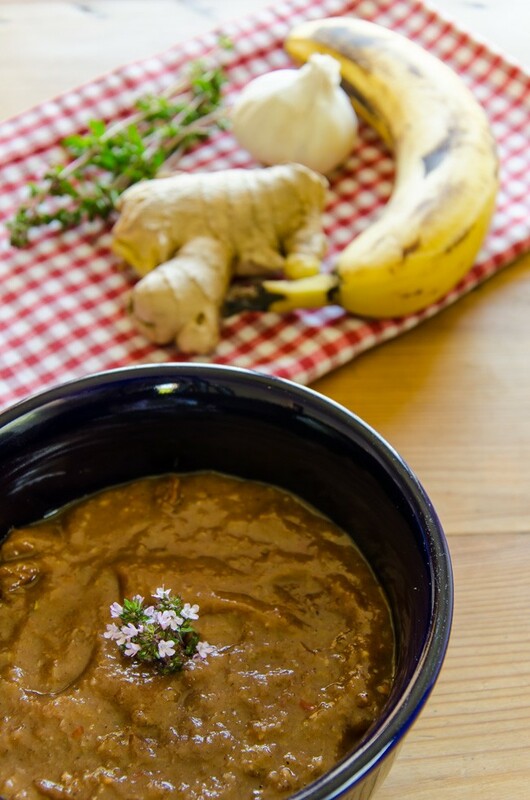 I have also included a recipe for banana ketchup (from Levi Roots ‘Caribbean Food Made Easy’) because nothing goes better with sweet sticky potatoes and jerk chicken or pork. I know it sounds weird but it really works. Bring some soul to your food! 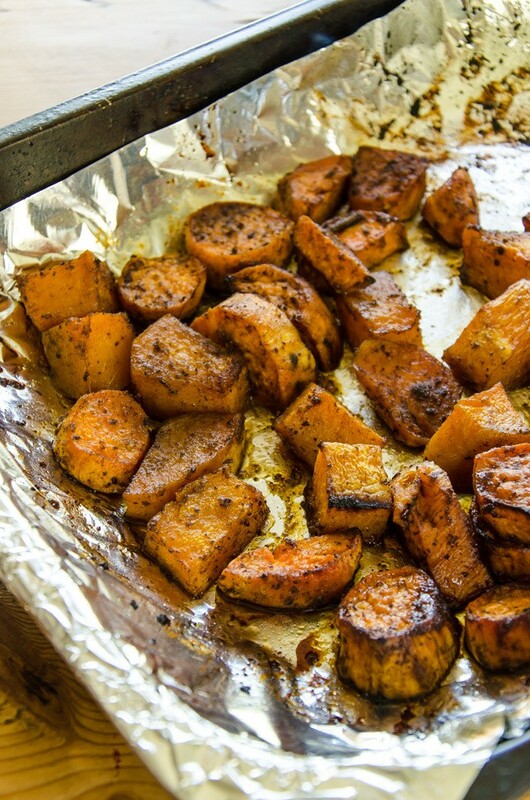 Preheat oven to 180 C. Line a large roasting pan with tin foil – this recipe really sticks! In a large bowl, whisk together all the ingredients then add the peeled and chunked potatoes. Toss so all is coated and then pour onto onto the roasting pan so it is one layer thick. Cook for 45-60 minutes, turning every now and then. Put everything in a blender (or use a stick blender in a tall narrow container) and blitz until smooth. Taste to check the seasoning, adjusting the sweet, sour and salt as required. Pour into a saucepan and simmer for 5 minutes. Leave to cool entirely before serving. This also freezes well but I would recommend using within a few months. Nothing says high summer more than a glut of courgettes from the garden. 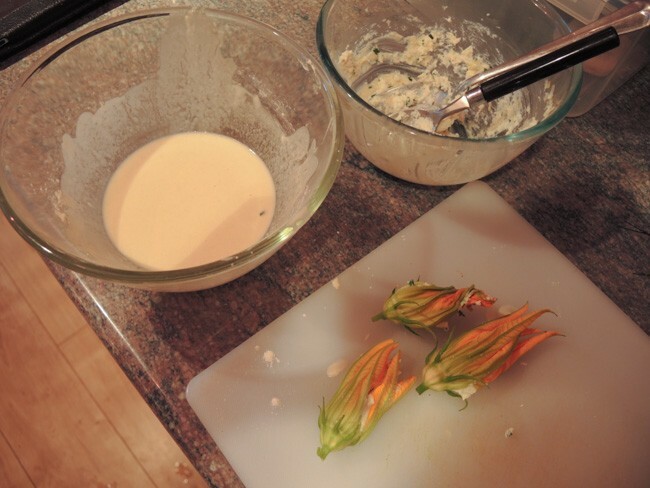 A few days before we went away for our break in Dorset a few weeks ago, I made this recipe to try and stem the flow of courgettes that would turn into marrows while we were away. It worked and we had a delicious dinner out of it too. Doubly good! Prepare the flowers by opening them up carefully and shaking out any bugs, but do not wash them. Mix the cheeses, herbs and lemon zest in a bowl. Taste and season – will probably need some salt and quite a bit of pepper. Fill the flowers with the mixture, being careful not to split them and twist the tips of the petals together to seal. Make the batter by putting the flours, baking powder and salt into a bowl and whisking to remove lumps. Then whisk in enough ice cold water until consistency of single cream i.e. pretty thin. Heat the oil in a deep sided pan until it reaches 180 ºC on a thermometer. 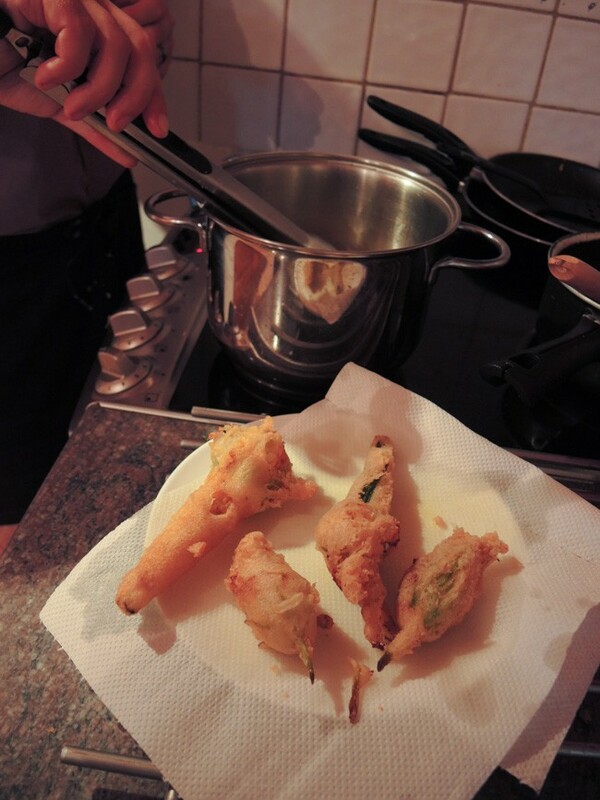 Quickly dip a stuffed courgette flower into the batter, allow the worst of drips to come off and then carefully drop into the hot oil. Only cook a few at a time so the pan is not over crowded. They need a couple of minutes on both sides until golden and crisp. Drain on kitchen paper while cooking the rest. 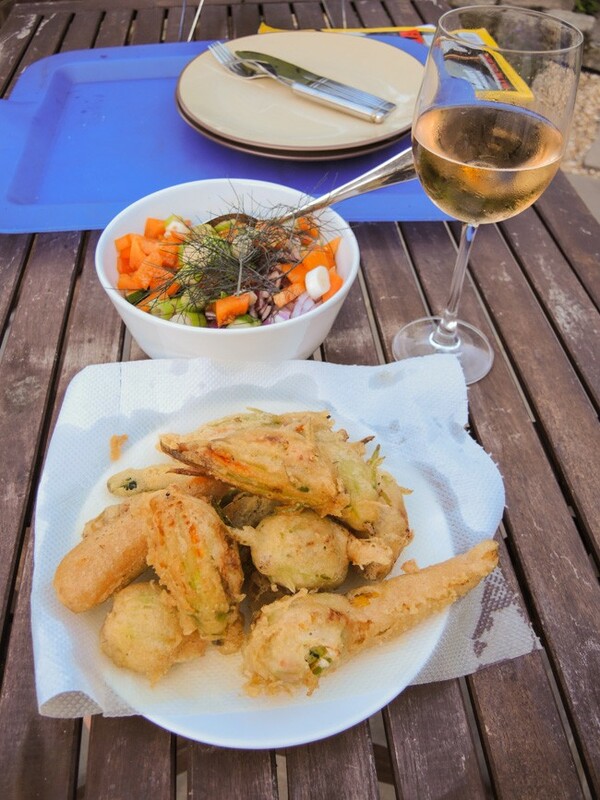 Serve immediately with a fresh salad and a cold glass of vino! 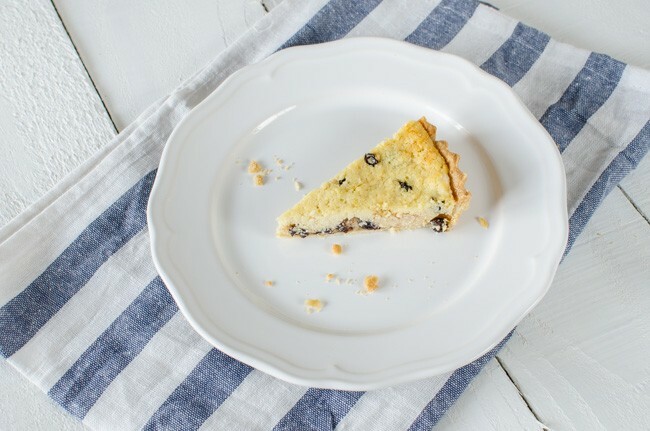 When we were in the Yorkshire Dales a few weeks ago, we sampled the local foodie delights including something called a curd tart. 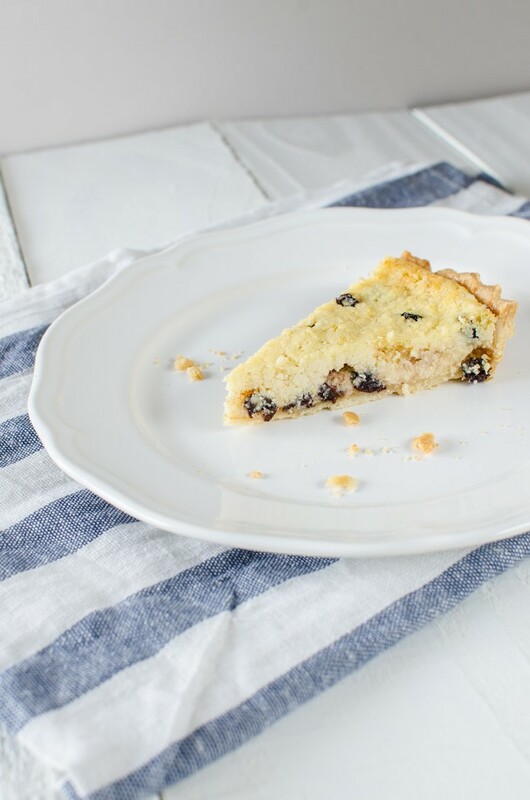 Nothing to do with lemon curd but it was still a delight; soft buttery pastry with creamy but slightly tart filling with currants and spice. So once we were home I decided to make my own version to remind us of the trip. We had lots of lovely food that weekend, from the punnet of fresh sun ripened strawberries to the Wensleydale cheeses (they do more then just Wensleydale, try the Kit Calvert), the best sausage roll I have ever tasted to pie and pint in the pub! To make the curds for the filling, firstly zest the lemon and store the zest in an airtight container in the fridge – you will need it tomorrow to make the filling – and then juice the lemon. Heat the milk in a large non-stick saucepan over a low heat and bring to a very gentle simmer. Remove from the heat and pour in the lemon juice, stir a few times and then leave to curdle for a couple of hours. Line a sieve with muslin and place over a large bowl. Pour in the curdled milk and allow to drain in the fridge for a minimum of six hours, ideally overnight. Cream the butter and sugar together until light and fluffy. Gradually beat in the egg then stir in the curd cheese, lemon zest, nutmeg and currents. 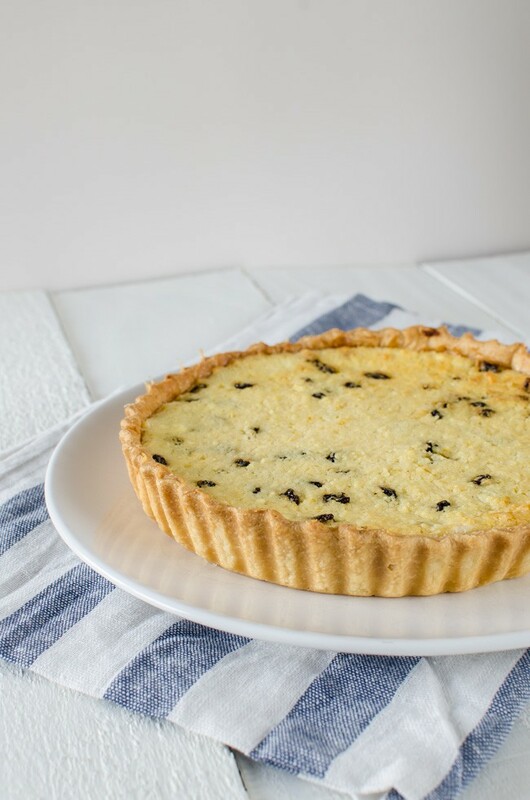 Spoon the curd into the pastry case and spread to evenly cover and bake for 30-35 minutes until the filling is set and lightly coloured. Leave to cool in the tin for at least 30 minutes before removing and eating. Serve at room temperature.